I just read the other day that, in this age of prohibitively-expensive fuel prices, the buzzword “staycation” has entered our lexicon, like a masticated wad of Almond Roca suddenly stuck in our collective fillings. In case you missed it on Oxygen or in Parade magazine, the stay-at-home vacation, or…well, you get it. Anyway, it’s all the rage among erstwhile summer vacationers in our cash-strapped economy. You can take the kids to the park and let them float kit boats in the pond, catch a dusk movie in the park (it’s the non-white-trash resurrection of the drive-in theater; you can also learn about it on Oxygen or in Parade magazine), walk down to the farmer’s market and buy fresh endive and tayberries for dinner salads on your deck, catch up on the last three Harry Potters, and maybe even cross off a few chores that you’ve been dreading for awhile or get your six-month teeth cleaning without having to take time off work. It’s a vacation without the gas and the parking and the lodging, the boorish tourists pushing the carry-on limit, and the TSA workers getting overzealous with the body searches. I’m all for it. I hate airports, especially post 9/11, and the more people who decide to eschew their EPCOT Center getaways and staycation in their spinning classes and tending to their basil gardens, the fewer shrill, chattering, pushy cul-de-sac dwellers that I have to deal with when I just need to get to Denver or San Francisco in relatively short, painless order. Besides, the price of fuel is a boot on our neck that isn’t going to let us up for air anytime before Abigail Breslin’s children graduate from college. You may have noticed these last few weeks in veepsblog.com some prominent and somewhat sloppy gaps, similar to Shane McGowan’s dentition. I don’t want to disappoint anyone coming here for the latest geographical faux pas by John McCain or to see if the redemption journey of Mark Foley has progressed and he’s cracked the Veepstake 500. Truth is, though, it’s July, and everyone else like me who’s in the punditry business has gone on vacation (and, unlike me, are actually paid for being in the punditry business and get paid vacations). Oh screw it. I guess you can call it a staycation if you want, but I’m still going into my dayjob every day and coming home to languish in the squalor of my Southwest Vancouver, Washington, neighborhood. When I manage to make it outside, I watch the arguing crack addicts from my porch, and the toothless fortysomething woman arguing with herself over at the bus stop across the street. If I don’t feel like walking outside, I can look out my second-floor kitchen window and watch my shirtless neighbors fistfight below. Everyone else may be on staycations this summer, but I’ve merely had a culmination of events and circumstances that have prevented me from giving due attention to veepsblog.com for the last week. 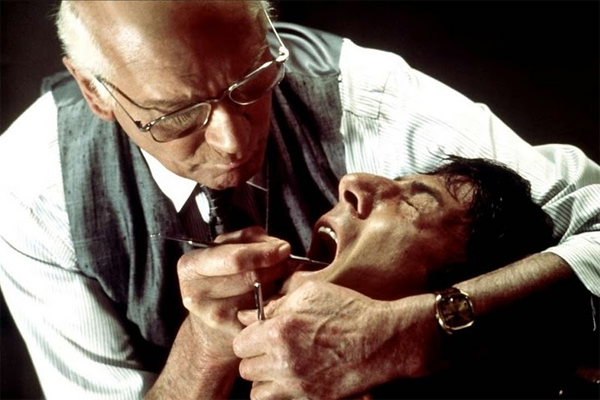 I had a dental appointment last week, which is unpleasant on the best of days, but especially grueling if you haven’t been in the chair in over nine years and it goes on for two and a half hours (my teeth look marvelous now–seriously). The rest of the week was answering the call and stepping up for extra duty at my day job (I’m not rich and famous yet; it’s still about the rent and something to throw into the frying pan every night), dotting some i’s and crossing some t’s related to my previous habitation, delirium starvation from being too tired to remember to eat, and finally a crushing case of the flu that has left my skull feeling like I’ve been pithed and my entire body like I’m pinned beneath a full bookcase. And given the latter, that’s about as much as I can muster tonight. I’ll be back in full gear very shortly. We have an election to cover–and a book to sell. For another day or so, we’re all about the melatonin and Advil and recuperating. For now I have good reason, above and beyond our book. The universe works in mysterious ways, and there’s nothing more mysterious than a documentary filmmaker wanting to put Wayne and myself on film. I know our Veepsession is all very interesting and we tell a great story through our various tics and peculiariarities and fixations, but a movie? I don’t know. He’s a very nice young man and very professional, and if he really wants to follow us with his camera, he’s more than welcome. Since we first talked, I’ve never completely understood his interest, but he’s persistent, and he’s held our interest. More as it progresses. My only demand: He’s paying for his own food. I have a crown I have to pay for (don’t worry–it isn’t going to affect my close-up).